Small businesses are the lifeblood of Los Angeles County with 15% more small businesses than New York City and double the number of Chicago. Even more important to you, and your small business, the financing normally requires mortgaging or second mortgaging the owner’s home, use of family savings and personal credit cards. It’s double-trouble if a business doesn’t succeed! 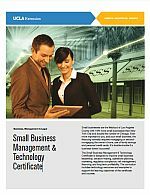 The Small Business Management & Technology Certificate is designed to improve small business leadership, decision-making, operations planning, marketing, regulatory compliance, risk management, financing, and long term profitability. 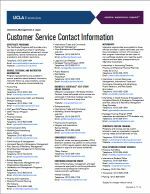 The curriculum includes technology resources and examples to support the learning objectives of the certificate and courses.